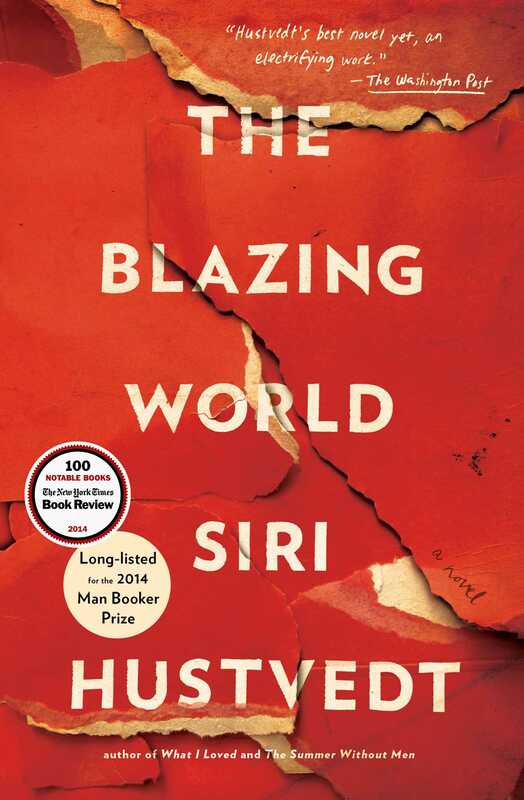 Really enjoying Siri Hustvedt’s THE BLAZING WORLD: a novel about an embittered female artist who eventually achieves fame by using male stand-ins. Interestingly, the satirical angle is really downplayed–it’s just taken as a given that a male artist is more likely to achieve success than a female artist, and, thus, the same art will be taken more seriously if it’s presented by a male face. The book isn’t concerned so much with making that argument. It’s more concerned with the psychology behind it. What does it mean to be ignored? How does it affect you? How is it freeing to be able to work behind a mask? The main character here, the artist, Harriet Burden, is fascinating, both physically (she’s physically massive and somewhat elderly) and in terms of her personality, which is…difficult (but not a way that feels unsympathetic). She was for many years the wife of a major art dealer and, as such, stayed in the background of the art world, serving drinks and arranging dinners. After his death, though, she feels less restrained, and she finally allows all her acidity to come out. Only a third of the way through the book, but I highly recommend it. The only bad part is the first chapter–a faux preface by the editor who put together the volume that you’re reading. It’s very dry and completely unnecessary. Either skip or skim it if you need to, but don’t let it deter you from reading the book. Let’s see, in terms of other news that hasn’t yet hit my blog, I’ve got some short story type stuff. My story “The Debugging of Martin Jarreau” will appear in the next issue of The Intergalactic Medicine Show. It’ll be my fourth appearance in that magazine. My story “Corridors” will appear in Nature sometime in the next few months. That one will be my fifth appearance there. If I was a scientist I’d be getting tenure for sure. I also have a story “Here Is My Thinking On A Matter That Concerns Us All” in the November issue of Lightspeed, and the editor has told me that story will also be cross-posted to io9. Finally, I recently sold “The Girl Who Escaped From Hell” to Nightmare Magazine. All of this, combined with an anthology sale I’m not sure I can talk about yet, has made this a pretty good year for me, story-wise: five stories sold already, and I have high hopes that I’ll get in a few more before the year is done.